Learn How to Get Gorgeous Makeup, Even With Glasses! Dorothy Parker once said, “Men seldom make passes at girls that wear glasses.” While we know that times have definitely changed since then and that the boys definitely like a girl in spectacles. Case in point: Zooey Deschanel on “New Girl.” There are certain tricks to getting your peepers to pop behind your frames, and we’re all about sharing those tips with you. We asked some of the beauty industry’s top experts to give us some tips to help girls with glasses to look their absolute best. So, prop up the frames and check out these helpful Hollywood insider tips. “I love ladies in glasses! I wouldn’t go farther than eyeliner and mascara. I think the most important thing for women who wear glasses is concealing and brightening the eye area. One of my favorites is By Terry Eclat de Teint Pinceau Color Skin Enhancer Brush. 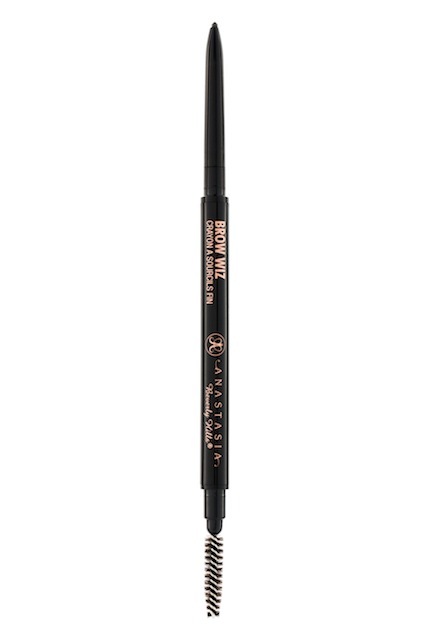 It magically brightens the eyes to the apricot shade that is universally flattering. If you want to add additional highlight, add a little high beam in the inner corner/side bridge of your nose with Vapour Organic Beauty Trick Stick in Orbit. Then just warm up your skin with the Urban Decay Naked Flush Blush Palette.